After celebrating craft beer last month at North America’s Craft Beer Celebration – the Craft Brewer’s Conference – we would like to take pause to look back at Oskar Blues’ tremendous success and their role in the great Canned Craft Beer Apocalypse. Founded as a brew-pub by Dale Katechis in 1997, Oskar Blues Brewery launched the craft beer-in-a-can apocalypse. In 2002, the “funky little Colorado grown brew-pub decided to start stuffing their huge, voluminously hopped mutha of a pale ale in a can (Dale’s Pale Ale)”. “Dale came to visit us in Calgary,” Cask President Peter Love recalls, “Jamie Gordon, our sales representative (who passed in 2015 and is immensely missed), was a great salesman but a bit forgetful. He was taking Dale out for dinner when he ran out of gas, forgot his wallet, locked his keys in his van… Not the ideal start we had planned for the 15+ year relationship that ensued,” chuckles Peter. Despite the comical start, Oskar Blues became our first craft brewing customer hand canning one beer at a time in the old barn across from the restaurant using our Manual Canning System (MCS). 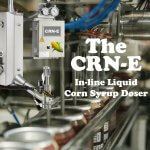 They had great success with aluminum cans and in 2004 we designed and built an Automated Canning System (ACS) for them. Major validation for their canned-beer revolution came in 2005, when a New York Times blind taste test named Dale’s Pale Ale the best pale ale in the country. And later that year, The Wall Street Journal’s expert beer panel “pretty much swooned” after trying Oskar Blues’ Scotch ale, Old Chub. In 2002, Jamie Gordon was taking Dale out for dinner when he ran out of gas, forgot his wallet, locked his keys in his van… not the ideal start we had planned for the 15+ year relationship that ensued,” chuckles Peter Love. 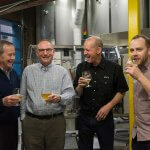 In 2008, as the highest producing brew-pub in America they added a 35,000-square-foot facility in Longmont, Colorado. In 2012, Oskar Blues opened an expansion brewery in Brevard, North Carolina and in 2016 opened an additional brewery in Austin, TX. Recently, they secured an additional 60,000 square feet at its Colorado location and completed a 22,000 square foot expansion to the North Carolina brewery. 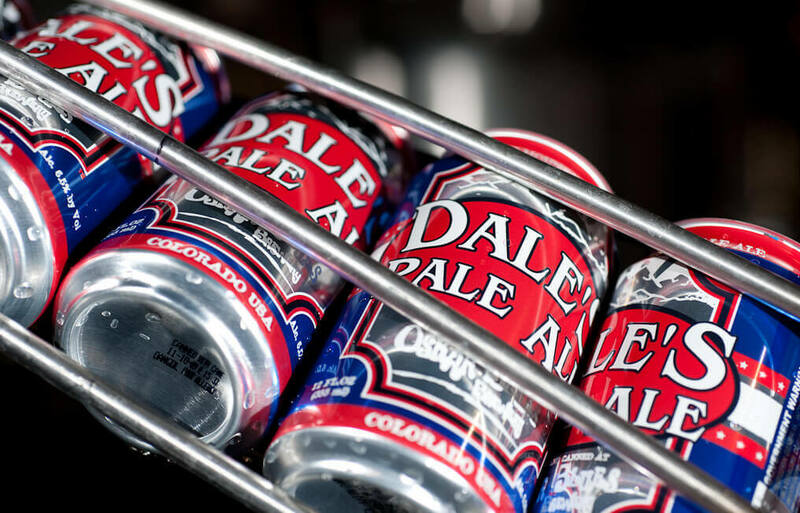 In 2016 Dale’s Pale Ale, finished as the nation’s top-selling craft can six-pack at U.S. supermarkets, according to market research firm IRI Worldwide. That coup capped a year in which Oskar Blues shipped more than 200,000 barrels of beer, boosted by the North Carolina production facility and the addition of a new brewery in Austin, Texas. Across its three locations, Oskar Blues now has the capacity to brew up to 500,000 barrels of beer annually, the company said in a year-end review. Collectively, Oskar Blues Holdings’ family of breweries — Cigar City Brewing, Perrin Brewing, Wasatch and Squatters — produced nearly 350,000 barrels of beer in 2016. 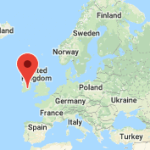 Oskar Blues is available in all 50 U.S. states, Washington, D.C., parts of Canada, Puerto Rico, Sweden, Norway, Finland, Spain, France, the Netherlands, Belgium, Luxembourg, the U.K., Ireland, Australia, New Zealand, Chile, Brazil, and South Korea. We congratulate Dale and his team on their tremendous success! 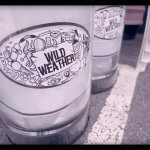 We would also like to take this opportunity to thank him for taking a chance on our canning system – one can at a time.